Fusion energy is presented as an energy alternative that would serve to resolve CO2 emissions and arrest the climate change caused by indiscriminate consumption of fossil fuels. EURATOM-CIEMAT aims through this exhibition to present to all and sundry the great advances being achieved by the international scientific community in research into aspects of fusion. 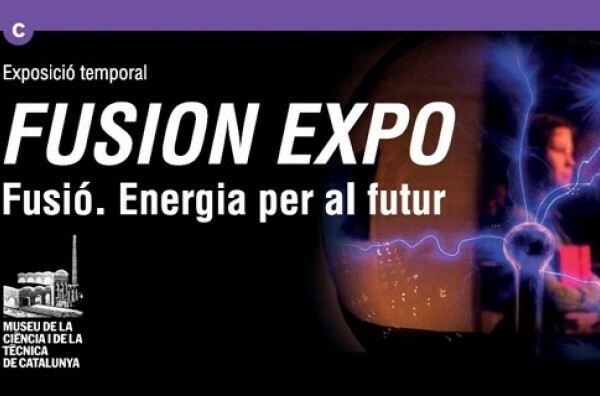 FUSION EXPO presents the evolution of research into fusion as an alternative source of environmentally acceptable, safe and sustainable energy, essentially through interactive models of fusion projects and audiovisual elements. In a clear and simple way, the exhibition explains the basic principles of fusion, describes the fusion research installations around Europe, presents the ITER project and looks forward to the construction of a working fusion plant. FUSION EXPO is organised by the EFDA (European Fusion Development Agreement) and the European Commission. From October 2008, the Slovenian Fusion Association is responsible for the travelling exhibition. The exhibition offers an insight into the research that has been under way for years now, in an attempt to make nuclear fusion a future source of energy that could be used to meet consumption. The abundance and widespread distribution of the fuel used, the intrinsic safety aspects and environmentally friendly impact, are reasons prompting Europe and the leading nations of the world to pursue this research, the main aim of which is to reproduce the processes of fusion allowing the energy released to generate electricity in the future.